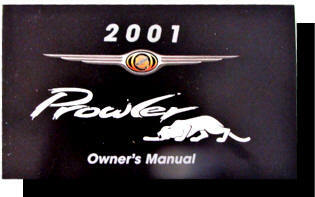 This is a genuine Brand NEW Chrysler Plymouth OEM Prowler Manual. It is the same book you get with the car when it is new. 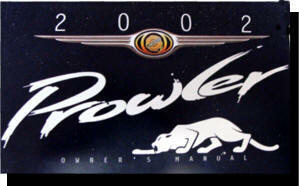 This is a genuine Brand NEW Chrysler Plymouth OEM Prowler Manual. 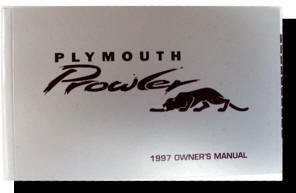 This manual is discontinued by Chrysler and is only available as a Reprint by authorized Chrysler Printing company. It is exactly the same manual except it is in black and white. 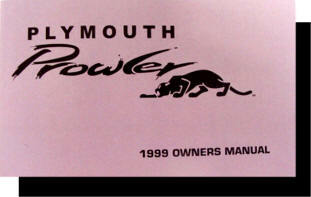 Original Chrysler new owners manual. 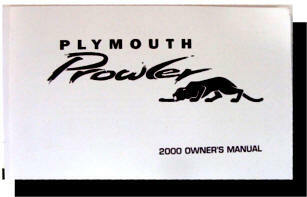 This is a genuine Brand NEW Chrysler Plymouth OEM Prowler Manual Kit. It is the same book you get with the car when it is new. 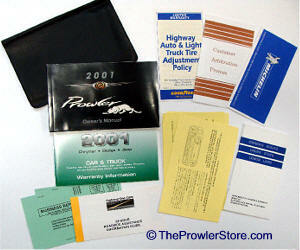 It includes the black vinyl pocket folder, original owners manual and standard Chrysler OM Kit inserts including Lemon Law, Tire warranty, Notices, and other important info that came with the car when it was new.